Alan Lacy is an award winning filmmaker who is passionate about the natural world His fascination with the critically endangered Mexican gray wolf, and his desire to do something to help, spurred him on to produce his first film about the endangered species. Since those beginnings in 2011, Alan has tracked the Mexican gray wolf from a captive breeding program through release into the wild, and brought his love of photography and storytelling to document the efforts of men and women dedicated to restoring these magnificent apex predators to their natural habitat. Alan has been enthralled with wildlife since childhood, and worked to make the world a better place for both nature and man. 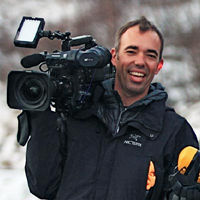 Coming from a background in aviation and business, he adapted his skills to the world of wildlife filmmaking, and simultaneously fell in love with it. 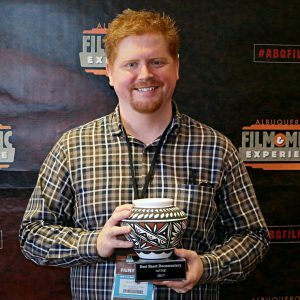 His first film, “Gray Area: Wolves of the Southwest” is an award winning documentary that has screened internationally. Now, he has set his sights even higher with his next wildlife film, currently in development. Alan lives with his wife and four footed fur-kid in Portland, Oregon, is often out exploring the wild Cascades of Washington and Oregon. Born in England, Dean Cannon grew up in the Sonora Desert of Arizona. At an early age, Dean found a passion for flying and photography and finally traveled to Africa at 26 to work on a project for NTT Japan. There he found his calling and filled a position working for Animal Planet in Bangkok, Thailand. Since then, Dean has traveled throughout South East and Eastern Asia and Alaska working for clients such as Animal Planet, Discovery HD, and National Geographic Channel. Working with Alaska Fish and Game, Dean has traveled the entire state filming from the Alaskan Arctic to Brooks Camp in the Southwest. Dean still flies and lives with his wife and daughter in Anchorage, Alaska.